A student of Pierre Schaeffer and Pierre Henry, Radigue’s is a unique musical voice of the 21st Century. Toeplitz’s performance was a hit of the 2018 Sacrum Profanum Festival, Krakow, and Hope’s acclaimed performance was premiered in 2018 at Carriageworks Sydney. the Titjikala Women’s Choir (NT) shared their unique artistic and musical practice with Adelaide, celebrating cultural exchange. Together We Rise featured art and music workshops with the Titjikala women run by The Art Bus with artists Miranda Harris and Helen Fuller and Soundstream’s Gabriella Smart. Workshop events culminate in an exhibition and a concert at Ayers House Museum on 8th Aug in a celebration of Cultural diversity. Co-hosted by Soundstream Music and the J.M. Coetzee Centre for Creative Practice, the University of Adelaide. This event is also generously supported by Adelaide City Council, National Trust of South Australia, Renewal SA, the Centre for Aboriginal Studies in Music, the University of Adelaide and The Art Bus. The colonial pianos chosen for Of Broken Trees and Elephant Ivories offer a kaleidoscopic view of Australia’s history including famous artists, Afghan cameleers, Aboriginal genocide, and morse code. The chosen pianos still exist in various locations around Australia, and their cultural and historical narratives have inspired new works by Australian and German composers. Smart commissioned composers from Australia and Germany to write new works inspired by the narratives of seven colonial pianos still extant in various parts of the country. They belonged to famous artists such as Robert Louis Stevenson, Percy Grainger and Hans Heysen, or contained intriguing narratives, such as the first piano to arrive in Alice Springs on the back of a camel from Oodnadata. Wednesday 4 July 4pm – 5pm. Inspired by Anne Summers’ ‘Women’s Manifesto’ released in 2017, which is intended as a blueprint for equality for women in Australia, Tura New Music, Monash University, Soundstream and Decibel New Music Ensemble have launched The Summers Night Project. The project has been established to support and mentor emerging composers who identify as women to create a composition for performances in Perth, Adelaide and Melbourne, with the aim of growing the gender diversity of composers in music programs Australia-wide. 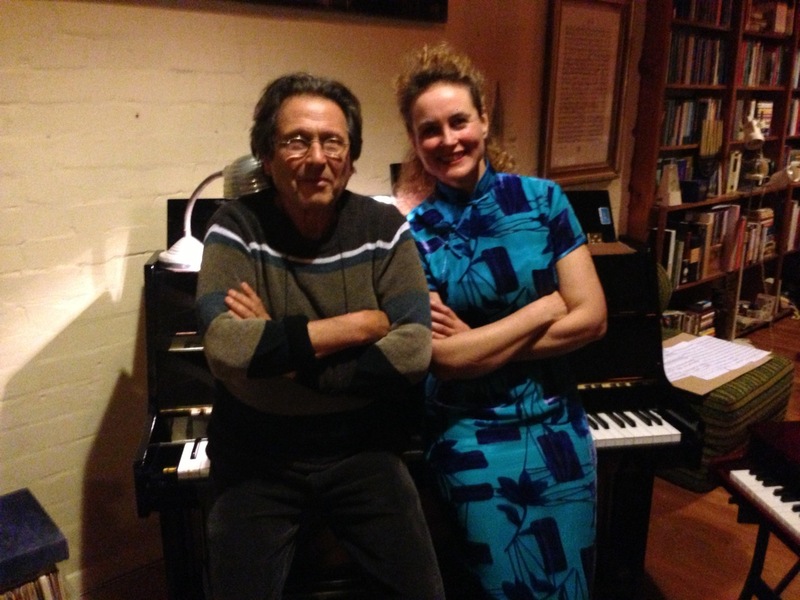 Mentor and initiator of the project, Professor Cat Hope (pictured), Head of the Sir Zelman Cowan School of Music at Monash University, has been planning the project for some time, and the project gained momentum after participating as a mentor in Soundstream’s Emerging Composers Forum in 2016. “Artistic Director of Soundstream, Gabriella Smart and I decided that teaming up to support composers was a good idea, and that focusing on composers identifying as women – irrespective of their musical style, age or level of experience – was an important focus for a mentorship project at this time. I reached out to Anne Summers, whose work in support and recognition of women in Australia has been an enormous inspiration to me, with the name idea – and so with her approval, and Tura’s facilitation, the project is finally underway,” Professor Hope said. A recent report published by Sydney University’s Business School in 2017, Skipping a Beat, identified that “[w]omen represent only one-fifth of songwriters and composers registered with the Australasian Performing Rights Association despite making up 45 percent of qualified musicians and half of those studying music.” This is backed up by data on radio programming, festivals line-ups and board member, senior and strategic roles in national music industry peak bodies where women are overwhelmingly under-represented. The composer mentors are Professor Cat Hope (VIC), from Monash University and artistic director of Decibel New Music Ensemble, Rebecca Erin Smith (WA), who recently mentored young composers from WAAPA to compose fanfares for the 2018 Perth Festival, and instigator of the inaugural Composing Women’s Festival in Adelaide, Becky Llewellyn (SA). 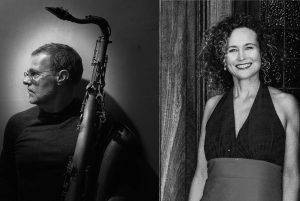 Composers will have access to performance mentors Stuart James (WA) electronics, piano and percussion, Derek Pascoe (SA) saxophone, Tristen Parr (WA) cello, Gabriella Smart (SA) piano and Cat Hope (VIC) flutes. Composers are given the choice to write for as many or as few of the following instruments as they desire; percussion, cello, flute, saxophone, electronics and piano, and will take part in a two-day rehearsal intensive in Perth on 30 June and 1 July 2018. This rehearsal period will be followed by concerts in the three host states; Monday 2 July at the Subiaco Arts Centre (WA), Wednesday 4 July at Elder Hall, University of Adelaide (SA), and Friday 6 July at the Music Auditorium, Sir Zelman Cowen School of Music, Monash University (VIC) as part of the Gender Diversity in Music Making Conference being held there. The Summers Night Project is presented by Tura New Music, Soundstream and Monash University, and acknowledges the support of APRA AMCOS, the Australia Music Centre and Decibel New Music Ensemble. Derek Pascoe and Gabriella Smart have been an improvising duo for three years. Ahead of their European tour, they delve into what they love to do most – stretching the boundaries of listening through improvisation in sound and technique. Featuring a new work written for Pascoe and Smart by Leah Blankendaal, and solos including an Australian premiere for solo piano by Annie Hui-Hsin Hsieh.